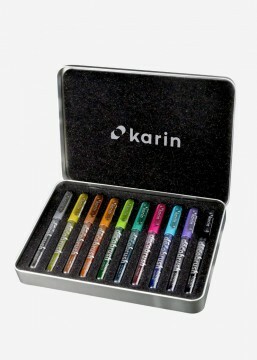 DécoBrush markers contain 2.4 ml of non-toxic paint based on metallic pigments. They are perfectly capable of covering both black and white surfaces. They were produced in "liquid ink" technology and thus, as opposed to traditional technology, they enable using all the contents. Metallic paint, after drying out, is permanent, light-resistant and waterproof on surfaces such as: paper, wood, ceramics, glass, metal, plastics. For further details, please go to the Attachments tab.